The Transportation Department provides school bus service for approximately 500 students per day. We also provide busing for extra-curricular activities. 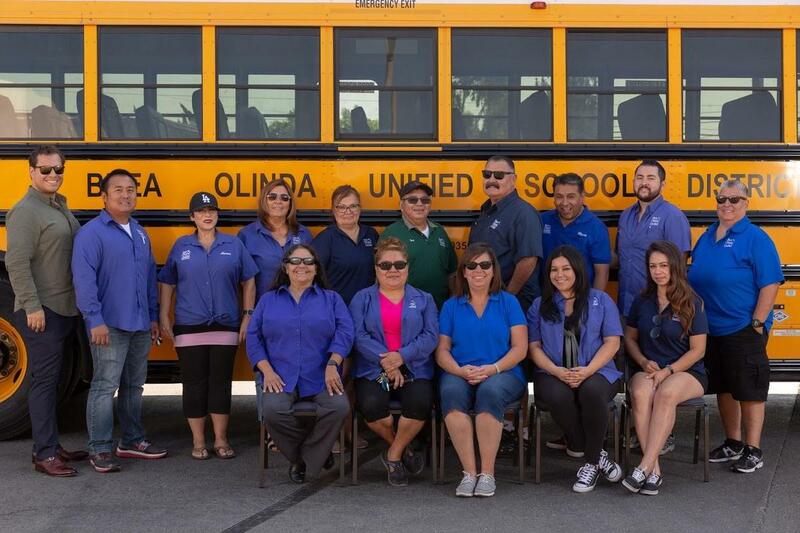 In addition to Brea‘s own K-12 transportation, we also transport up to 120 students with special needs to Brea Olinda schools and various out-of-district school locations. Brea school buses are routinely inspected for safety related defects. Those inspections are as follows: Daily inspections by the drivers, 45 day or 3000 mile inspections by the districts on site mechanic, and annual inspections by the California Highway Patrol. EFFECTIVE, TUESDAY, NOVEMBER 13, 2018, YOU MUST HAVE YOUR BUS PASS TO RIDE TO AND FROM SCHOOL. YOU WILL NOT BE ALLOWED TO RIDE THE BUS WITHOUT A BUS PASS AFTER TUESDAY, NOVEMBER 13, 2018. YOU WILL BE LEFT BEHIND! IF YOU HAVE LOST YOUR BUS PASS, YOU CAN HAVE IT REPLACED FOR A $10 FEE. IF YOU DO NOT HAVE A BUS PASS, YOU CAN GO ONLINE AND PUT IN AN APPLICATION AND COME INTO THE BUS PASS OFFICE (ADDRESS LISTED ABOVE) TO PAY FOR THE BUS PASS. ONLY THEN WILL YOU BE ABLE TO BE ALLOWED TO RIDE THE BUS. IN ORDER TO RIDE THE BUS HOME FROM SCHOOL, YOU MUST HAVE THE BUS PASS OR THE LIMITED BUS PASS FROM THE SCHOOL ATTENDANCE OFFICE. THIS IS ONLY IF YOU HAVE ALREADY PURCHASED A BUS PASS BUT ARE UNABLE TO FIND IT. THE LIMITED PASS IS VALID FOR 3 DAYS ONLY. IF YOU HAVE ANY QUESTIONS, PLEASE CALL (714) 990-7837 OR GO TO BOUSD.US / DEPARTMENTS / TRANSPORTATION / BUS PASS APPLICATION.